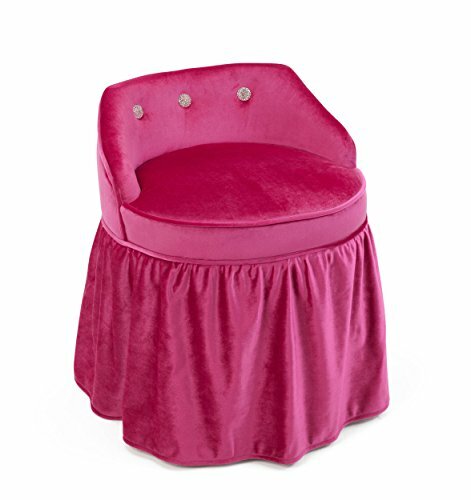 Every little princess will love the stylish vanity chair. The beautiful design of the vanity chair is priceless with the ruffle bottom shirt and low back with decorative crystal buttons. The chair provides a stable place to sit and easily fits under a vanity for storage. Finished in a rich pink fabric this chair can be vacuumed clean. This helps keep it looking as good as new for years to come. If you have any questions about this product by Aspen Leaf Specialties, contact us by completing and submitting the form below. If you are looking for a specif part number, please include it with your message.